I have some great sales specials for every order placed before February 28th!! All orders will receive the You’ve Got This Tutorial*. Orders over $50 will also receive the Floral Romance Suite Tutorial*. Orders over $50 will also receive a FREE Sale-a-bration items. Orders over $100 will also receive a package of all new Glitter Enamel Dots from the Occasions Catalog. Offer is only available from me, Linda Cullen, and will end on February 28th. Glitter Enamel Dots will ship in February and will come directly from me. Earn the You’ve Got This Tutorial from now until February 28th. Every order placed in my online store will receive a free tutorial. 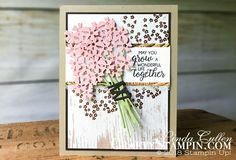 The tutorial features the Happiness Blooms Memories & More Card Pack and the Bloom by Bloom stamp set from the Occasions Catalog. The You’ve Got This Tutorial is a double sheet with detailed instructions, and you will receive the pdf files via email automatically within 24 hours after placing your online order. For the month of February, you will receive the Floral Romance Suite Tutorial with a minimum purchase of $50 in my online store or when you join my Stampin’ Team. 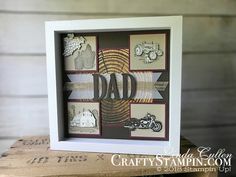 This tutorial features the Stampin’ Up! Wonderful Romance stamp set, Wonderful Romance Framelits Dies and the Floral Romance Specialty DSP. The tutorial contains 11 full-color pages of detailed instructions with pictures for each step to create 4 different cards. Every order $100+ placed in my online store using Hostess Code Q739BR6V will receive a free pack of Glitter Enamel Dots from the Occasions Catalog. Glitter Enamel Shapes will ship in March 2019. Mailing date could be affected by inventory issues at Stampin’ Up, delay or replacement might occur.